The first sign of teething appears in most babies when they are around 4-7 months of age. For most babies the appearance of first set of teeth is a painful process. Drooling, irritability, swollen gums, sleeping problems, chewing on things, rejecting food are some of the symptoms associated with the development of first set of teeth. For some babies teething can be an uneventful process and they may not experience any pain or discomfort. Some home remedies are available for teething that can provide pain relief and comfort to your baby. Applying cold therapy to your baby’s gums helps in reducing the pain. It works by reducing blood flow to the affected area and by temporarily reducing nerve activity. There are several ways in which you can provide cold therapy to your baby. Take a clean cloth and wet it with water. Place it in the freezer and when it is partially frozen, place it in your baby’s mouth and allow your baby to chew on it. Place an ice cube in a clean muslin bag and place it in your baby’s mouth and allow your baby to chew on it. Monitor your baby as ice cubes can easily lead to choking. Take a silver spoon and leave it in the freezer to cool. Give it to your baby and let your baby chew on the spoon. You can also give your baby cold foods such as apple sauce, cool fruits and cold homemade yoghurt. These foods may be soothing to your baby’s teeth and help them eat better. It is natural tendency for babies to chew on things when they begin teething. They like the feeling of pressure on their gums which is soothing to their painful gums. You can massage your baby’s gums and can also let them nibble on your fingers. Just remember to keep your hands clean. You can give your baby wooden teething toys to chew, which will provide relief from pain in the gums. You can also offer your baby soft silicone teething toys available in the market, which are convenient to chew. Nowadays, vibrating teething toys are also available in the market. These toys vibrate when your baby chews on them and help in stimulating their gums to facilitate teething. Mesh teething toys made of silicone are also available. You can place cold apple sauce, partially frozen fruit or breast milk into these mesh teething toys and then give them to your baby to chew. Avoid giving plastic toys to your baby at this time as they may pose a health hazard. Make sure the teething toys you are giving to your baby are clean and safe. Teething toys act as one of the natural remedies for teething. 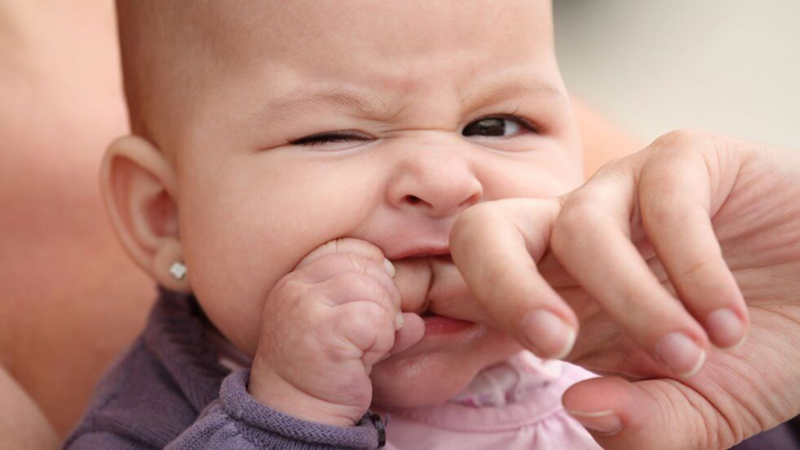 Teething pains can leave your baby irritated and stressed. Breastfeeding will help soothe, comfort and calm your baby. Moreover, most babies develop fever and running nose during the period of teething, which further aggravates the situation. Breastmilk contains compounds that strengthen your baby’s immune system, which helps combat these associated ailments. Some babies do not feed well during teething. In such cases move on to other options and don’t force your baby. If your baby is biting onto your breast as a teething toy, then massage their teeth gently with your hand before starting to breast feed. Most babies do not feed well while teething. If your baby has started eating hard foods you can give them large pieces of cucumber or carrot to chew on. However, monitor your baby carefully as the pieces of carrots and cucumbers can lead to choking. You can hold one end of the carrot or cucumber while your baby continues to chew on the other end. Chilling the carrot and cucumber will offer additional benefit. Furthermore, you can puree fruits and vegetables and offer them to your baby after cooling them in the refrigerator. Teething biscuits are also available in the market for your baby to chew on. Make sure you buy unsweetened variety of the biscuits. You can also make a homemade version of the biscuits. Teething is often association with inflammation, which can aggravate the teething pain. To reduce inflammation, choose foods that provide anti-inflammatory effect such as fresh fruits and vegetables, coconut, butter, avocado, eggs and sea foods. Avoid foods containing refined sugars and flours as they can aggravate inflammation. 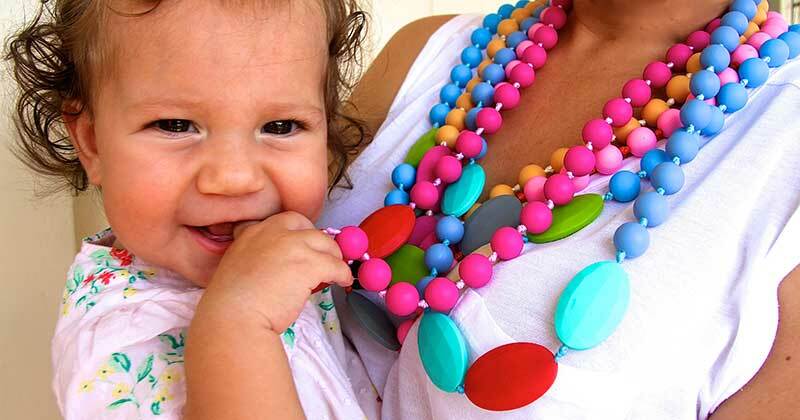 Warning: several health organizations such as American Academy of Pediatrics suggests that there is a great risk of choking on the beads involved with use of this kind of jewelry and recommends that it should not be used as a natural remedies for teething. Baltic amber jewelry, which can be worn as a bracelet, anklet or necklace is an ancient remedy for teething and its popularity is acknowledged by even researchers. When the Baltic amber beads come in contact with the baby’s body temperature they release succinic acid into the skin of the baby. Succinic acid has natural anti-inflammatory and analgesic properties that can help relieve teething pain. Distracting your baby by taking him outside the house may help your baby forget the teething issue. You can take him to a park, play area or a mall. You can visit the homes of your friends or relatives or you can invite them over to your house. If your friends or relatives have children with whom your baby loves playing then inviting them over will entertain your baby. You can also give your baby a warm bath which may relax and calm your baby. Stress can also aggravate inflammation and pain. Distracting your baby can provide stress relief. 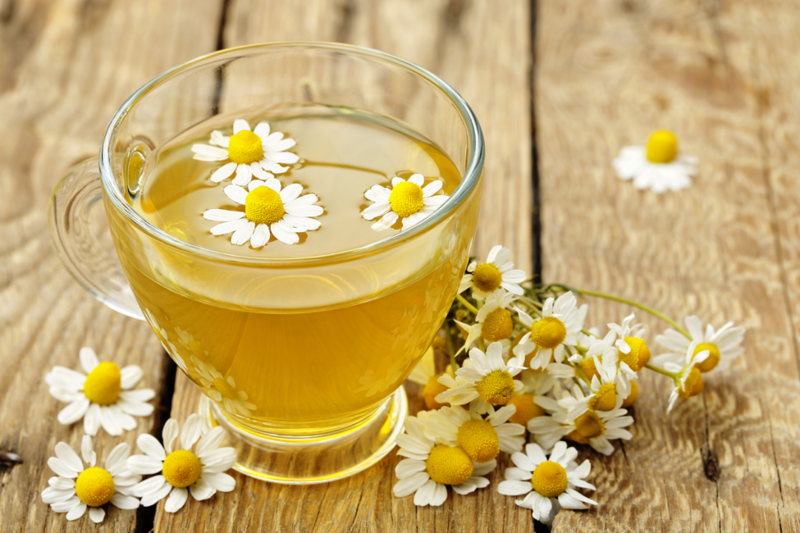 Chamomile tea is one of the natural remedies for teething. It has anti-inflammatory and analgesic properties. Make chamomile tea and offer small sips to your baby. You can also gently rub chamomile tea on your baby’s gums. Another efficient method is to freeze the chamomile tea in mesh teethers and then offer them to your baby. The chamomile will reach the gums through the mesh and provide pain relief. Chamomile is also available as a hydrosol which you can gently rub on your baby’s gums. “We use an amber teething necklace and Hylands teething tablets and it’s not that bad."